When I attended school back in 1979, my Dad had four of us in college at the same time. It was through student loans that my parents were able to manage the costs of all four of us attending school along with some parental financial support. Unfortunately, as far back as I can remember, many students including myself, have used their student loans for entertainment, shopping, vacations, etc. The Department of Education loans money for school and it is imperative for your student to understand that student loans should not be used for frivolous spending. Trust me, I learned the hard way. The loans and interest (depending on the type of loan you have) add up very quickly. Repayment of said loans can be a huge monthly cost; therefore, understanding all the terms of student loans is, in my opinion, essential. In all cases, you must begin with filling out the Free Application for Federal Student Aid (FAFSA) Form. The FAFSA opens up in October and I encourage you to read our blog on this process as it is on a first come first serve when it comes to student loans. You may receive more than one type of loan under the Direct Loan Program. Each loan type has its own terms and conditions, such as interest rates. You repay your Direct Loan to the U.S. Department of Education. The terms and differences in the types of student loans are summarized below. You can read more on this topic and get a better understanding of these loans here. What is the Difference between Direct Subsidized Loans and Direct Unsubsidized Loans? In short, Direct Subsidized Loans have slightly better terms to help out students with financial need. There are annual limits on both types of loans and this can be obtained here. There are also requirements as to hours enrolled; the interest rates, the maximum period of time you are eligible to receive loans and loan fees charged. In addition, there is now a required Entrance Counseling obligation as well as signing a loan contract referred to as a Master Promissory Note, agreeing to the terms of the loan. Direct Plus Loans. You can read our blog on entrance counseling here. For more information on Direct Plus loans, click here. Direct Consolidation Loans are very uncommon and somewhat complicated. A Direct Consolidation Loan allows you to consolidate (combine) multiple federal education loans into one loan. The result is a single monthly payment instead of multiple payments. Loan consolidation can also give you access to additional loan repayment plans and forgiveness programs. But there are some cons including a longer payback period and losing out on loan benefits you may already have in place. Before considering this type of loan, read here so you have a full understanding of the pros and cons. 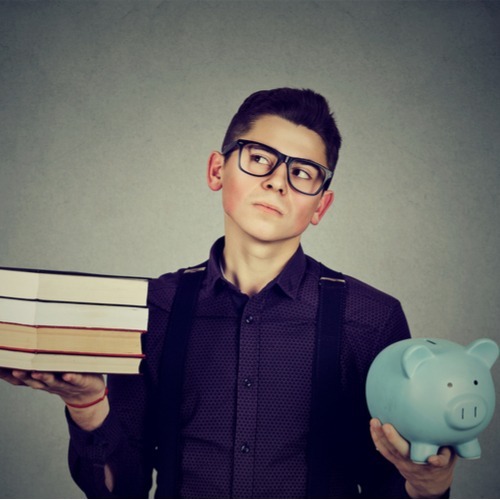 It is my opinion that understanding the different types of student loans, requirements and, most importantly, repayment terms will help you and your student plan for school costs and budgeting.